As we enter Veterans Day weekend, let us begin to reflect and honor the sacrifices made by U.S military personnel and their loved ones to defend our freedom and democracy. Veterans: From all of us here at the Florida Council on Compulsive Gambling – Thank you for your service. According to the Department of Defense (DOD), roughly 589 military personnel were diagnosed with Gambling Disorder or were seen for problem gambling within the Military Health System each year between FY2011 and FY2015. In general, fewer than 10 percent (10%) of people with gambling problems seek help, due to the shame, stigma and misunderstanding of Gambling Disorder.2 As gambling addiction does not come with distinct physical signs, as is the case with many substance addictions, problem gambling has become known as the Hidden Addiction. • Have you ever had to lie to people important to you about how much you gambled? • Have you ever felt the need to bet more and more money? If you answered yes to either of the above questions, it is possible that gambling has become a problem and further assessment is recommended. Perhaps one of the most challenging things for anyone to do is to admit that they have lost control; to do so requires great strength. At the FCCG, we believe that part of honoring veterans is to spread awareness of the hidden addiction affecting so many of our service men and women. 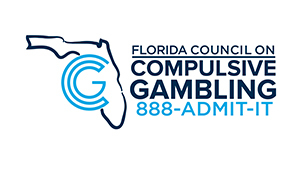 We are proud to offer FREE treatment and resources through our 24/7 problem gambling HelpLine, 888-ADMIT-IT for veterans, active-duty and reserve personnel, as well as civilian family members living in Florida. If you or someone you know has a gambling problem, remember that knowing when to ask for help is both courageous and honorable. Contact the FCCG at our toll-free, multilingual, and completely confidential HelpLine, 888-ADMIT-IT. Additionally, you may contact the FCCG via text, live chat, email, or through Facebook & Twitter. For those that serve Florida military and veteran populations and would like to know more about the Hidden Addiction or FCCG resources such as our FREE Military Toolkit, please contact our HelpLine via any of the above-mentioned methods. HelpLine Specialists are available 24-hours a day, seven days a week. 1. United States, Congress, Government Accountability Office. “DOD and the Coast Guard Need to Screen for Gambling Disorder Addiction and Update Guidance.” GAO-17-114. U.S. Government Accountability Office, Jan. 2017. www.gao.gov/products/GAO-17-114. 2. Westermeyer, J., et al. “Pathological and Problem Gambling among Veterans in Clinical Care: Prevalence, Demography, and Clinical Correlates.” US National Library of Medicine National Institutes of Health, May 2013, www.ncbi.nlm.nih.gov/pubmed/23617862. 3. Johnson, Edward E., et al. “The Lie/Bet Questionnaire for Screening Pathological Gamblers.” Psychological Reports, vol. 80, no. 1, Feb. 1997, pp. 83–88, doi:10.2466/pr0.1997.80.1.83.